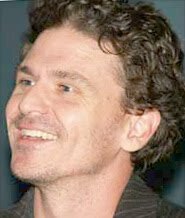 The San Francisco publishing house founded by author Dave Eggers (pictured) plans to release a one-issue, 300-page newspaper on Dec. 8 that will feature the contributions of Michael Chabon, Stephen King, Andrew Sean Greer, William T. Vollmann and Junot Diaz. The Panorama will also include the work of Bay Area authors Michelle Tea, Tom Barbash, Robert Hass and Daniel Alarcon. Eggers, perhaps best known as the author of “A Heartbreaking Work of Staggering Genius,” is a big believer in the printed word and disputes the notion that online journalism will eliminate newspapers. The Panorama will have a main news section including investigative reports, arts and sports sections, a magazine, a book review section, pull out posters and comics, according to a press release. Eggers’ publishing house, McSweeney’s, plans to print this newspaper on a 15- by 22-inch broadsheet, which harkens back to the classic days of newspapers. Panorama will go on sale Dec. 8, and the Chronicle has obtained the right to republish articles from this special edition.